The UCAS application deadline for medicine is around 15th October each year. The online application requires you to register and pay a fee of £19. The two main components are the school reference and the personal statement. Some medical schools score the reference and add it to your overall score while others don't use it at all. However it is used it is important that you get the best reference possible. Your personal statement will be marked by an admissions tutor at each of your four medical schools. Your score together with your A-Level grades will be compared with other applicants and the best will be called to interview. Below are some top tips for structuring your personal statement. What to Include Most medical schools mark your personal statement against a set criteria and it is important to make the marker's job as easy as possible. Your personal statement should be composed of three main paragraphs: why you want to do medicine, what work experience you have done and what extra-curricular achievements and hobbies you have. Start Early Plan when you are going to sit down and write. Come back to the personal statement after completing an initial draft to see what needs improving. Get your final version in early. 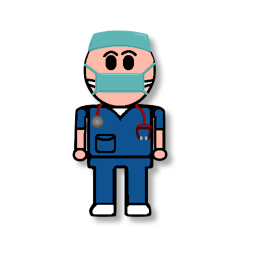 Be Personal Try to avoid generalised statements and focus on your own experiences of medicine and link these to qualities of a doctor. Use Power Words Try to write in a formal and engaging style with words that highlight your enthusiasm for a career in medicine. Be Interesting Most personal statements begin with something like 'my love of science drew me to medicine'. Try to be different and use personal experiences. Finish Strong Conclude your personal statement with a positive summary. Get it Checked Ask friends and family members to read the final version to ensure there are no grammatical or spelling errors. Submit it Early Some universities mark on a first-come-first served basis and it is important to get the UCAS application submitted as soon as possible.